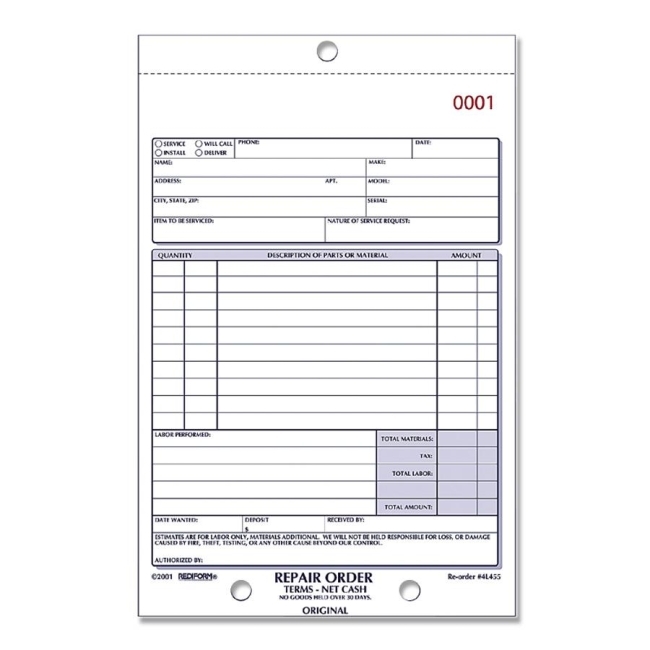 Carbonless repair order form is consecutively numbered for easy tracking. 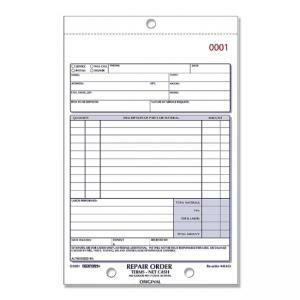 Each form offers a place for phone, date, name, address, nature of service request, itemized list of products or services with quantity description and amount as well as totals, tax and an authorization signature line. Form come in a manifold book with a flexible cover.